Working through the process of image-making in a therapeutic relationship, the art therapist is able to explore feelings, fantasies, and myths in different setting with diverse client groups. 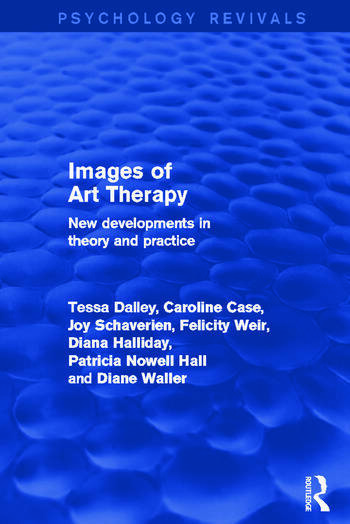 Originally published in 1987 Images of Art Therapy is a collection of essays by experienced art therapists which discuss and develop both theoretical and practical issues central to art therapy. The authors describe how they work through the use of illustrated case material which includes children, adolescents, and adults, in normal schools, psychiatric hospitals, therapeutic communities, and out-patient clinics. Theoretical considerations include bereavement, play, transference, symbolism, and verbal versus non-verbal communication. The first book on art therapy, Art as Therapy, edited by Tessa Dalley, was a useful introduction to the subject. Images of Art Therapy expands the issues raised in the earlier book in more depth, and developed new and innovative ideas which it was hoped at the time, would influence both the theory and practice of art therapy in the future.